← Is Samsung on the comeback trail? This is a very good sign from a company that I have not been positive about for a long time. Back in February AOL CEO Tim Armstrong discussed more layoffs at the company which did not surprise me at all. 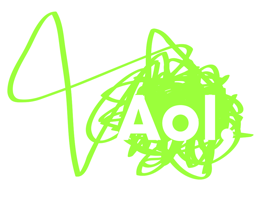 After all, I have written about AOL’s pending irrelevance going back to 2011. In fact whenever I receive an email from someone using an AOL account it feels to me like 1993 all over again and I even have recently heard the classic “You’ve got mail” sounder in my office. In truth I did not properly evaluate the reach of AOL sites like Huffington Post and Engadget and while AOL and Mr. Armstrong continue to plow ahead toward the goal of lasting relevance, it is in many ways (particularly in the area of branded content) better positioned than is Yahoo and its somewhat beleaguered CEO Marissa Mayer. Even today there are calls for her ouster. So while AOL’s days as a default email provider are less important, and its content more important, the development of the One by AOL platform may be just what many of us involved in digital advertising are waiting to employ. “One is very important to AOL for many reasons,” said Ray Wang, founder and principal analyst with Constellation Research. The real test now will be how much simplification advertisers and agencies actually see in the new service, he added. Well, smart marketers do at least. Does this score one for AOL? Even if it is AOL is still trying to come from behind. That’s the way I see it. This entry was posted in Advertising, Marketing stuff, Media and tagged AOL, Bob Lord, Computerworld, Constellation Research, Engadget, Huffington Post, Marissa Mayer, One by AOL platform, Programmatic Buying, Tim Armstrong, Yahoo. Bookmark the permalink.